Drums und Bässe in der Villa! 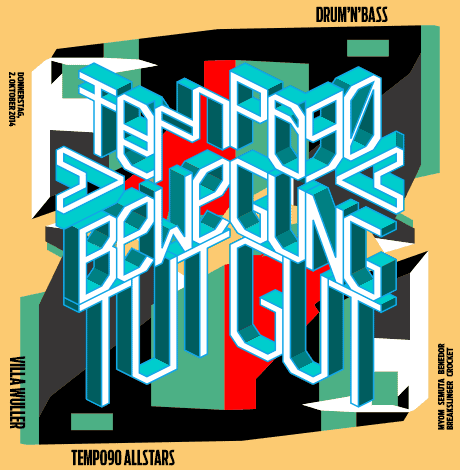 An den Decks die t90-Allstars Myom, Semuta, Benedor und Crocket. Feinster Drum&Bass, wie man ihn in Trier sonst nicht unter die Füße bekommt! In this mix Myom showcases an ever-evolving continuum of roots conscious but progressive, non-nostalgic productions in the 170 bpm range. 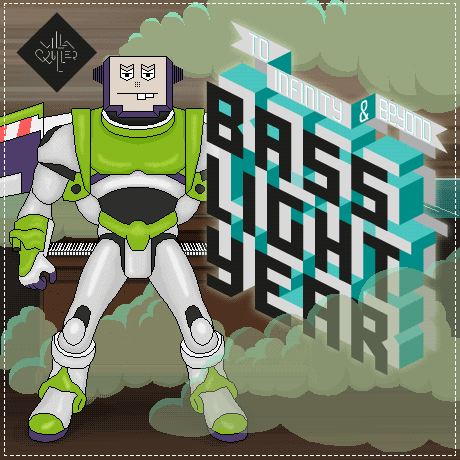 It is a compilation of darker drum´n´bass tracks that expand the boundaries of the genre, by layering their rhythms over a half time feel and incorporating influences from footwork/juke, trap, dubstep and jungle. Fresh tunes by classic artists like Digital & Spirit, Dom & Roland or Amit meet a new generation of productions from the likes of Om Unit, Fracture or Stray. 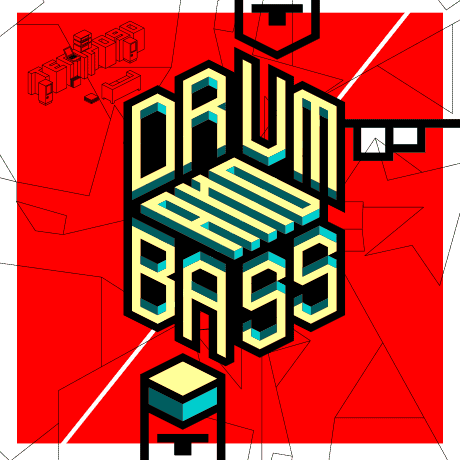 If you need prove, that drum´n´bass is still an interesting electronic music genre, that hasn´t dumbed down to just another generic, in-your-face club sound, listen carefully. 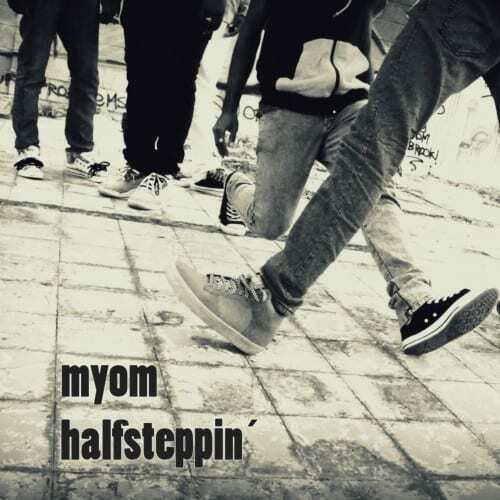 By carefully choosing his selection, layering tracks to carefully transform atmospheres and craft evolving vibes, Myom slowly draws you into the mix: At first you´re just tapping your foot, then nodding your head until you find yourself bouncing frantically around the room, before you are released with a stomping, emotional finale. Musical explorer Myom´s podcasts don´t just promise a musical journey, they deliver with meticulous selection and mixing. His more than 15 years of experience behind the decks shine through his podcasts, that document his continuing effort to push the art of the dj mix. His recordings are unedited live takes with slight imperfections, because Myom favors ‚real‘ over ‚perfect‘ anytime. The archive of Myom´s podcasts from 2004 onward can be found here. Bevor wir im Mai unseren 13. Geburtstag mit einem Gast aus Löndön feiern, habt ihr diesmal noch mit den Residents die Ehre. 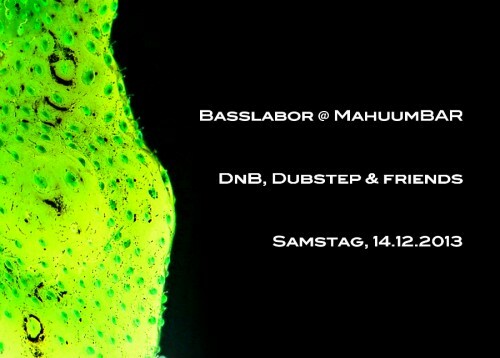 Monatliche Partyreihe für Drum & Bass (ohne MCs) und andere technoide Musik. Ganz entspannnt ohne Zwang, dafür mit Liebhaber-Sound & -Style (Schalloptimierung und High-End-PA vom Boss = DKA, dezente Beleuchtung, faire Preise, gratis Mineralwasser & Obstkiste). Myom ist als DJ unter anderem seit zehn Jahren treibende Kraft der Drum & Bass-Szene in Trier, Fachmann für themenspezifische Konzeptmixes und vielleicht der most underrated DJ in DnB-Germoney. Er war bereits im Juni 2013 in der MahuumBAR zugange und seine Sets verlangten nach Fortsetzung. DJ Mustermann kommt ebenfalls von außerhalb und gibt ein kurzes Gastspiel im Moloch Mannheim. Killerhasi ist sehr neu hier, mixt gerne und steht auf dunkles, hartes und technoides Geballer. DJ Zänsur gehört fest zur Mannheimer Szene und konzentriert sich auf subtiles, deepes Material. DJ Mix wird dieses Jahr NICHT als Weihnachtsmann verkleidet sein. Außerdem: Letztes Kemal-Set!